How do you keep going when every day seems like a repeat of the last? What do you do to stay focused when either you’re always asked to jump higher or may even just perform the same tasks again and again? Why do we turn every great hobby into a “side hustle” idea? What tools do you use to build your dreams? 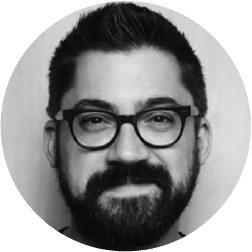 Our guest today, Austin Kleon, helps us address all of these questions and more. As a New York Times Bestselling author and creator, Kleon brings the creative mind of an artist to the pragmatic business world and shares some truths that can help all of us attain more of the life we’re fighting for. Great news! There’s some exciting new legislation working its way through Congress that could offer better retirement options in the future. As always, we’ve invited an expert to help us make sense of it all. Chris Spence is senior director of federal government relations for TIAA, and has a front row seat to all of the changes. He’ll share highlights, concerns, and the big wins for many of us on today’s show. Also during our headlines segment, we’ll discuss one recent news article suggesting that those staying out of the equity rally are really starting to feel its effects. In fact, people staying on the sidelines in cash just might make this year’s rally last longer. Later on, we’ll throw out the Haven Life Line to Harvey. Harvey and his wife are closing on their dream home soon (congratulations!) and are wondering what they should do with their condo. They know they can more than cover its expenses if they rent it out, but selling the property will save them a ton of cash on their new loan, along with PMI payments. What should the couple do? Plus, when we get to our letters segment, we’ll tear open some mail from Kevin, who’s wondering if you can “exchange” ETFs like you can mutual funds. As always, we’ll still save some time for Doug’s trivia…which today is exceptionally epic. A BIG thanks to Chris Spence for stopping by the basement to talk about the future of retirement. You can find more from TIAA at their site, TIAA.com. What color is the jacker a Masters winner wears? Harvey and his wife are closing on their dream home this year. What should they do with their condo they’ve had for the past 6 years?